Brief Description of Subject: Rectangular window depicting the fifth day of Creation: sea creatures and flying things. 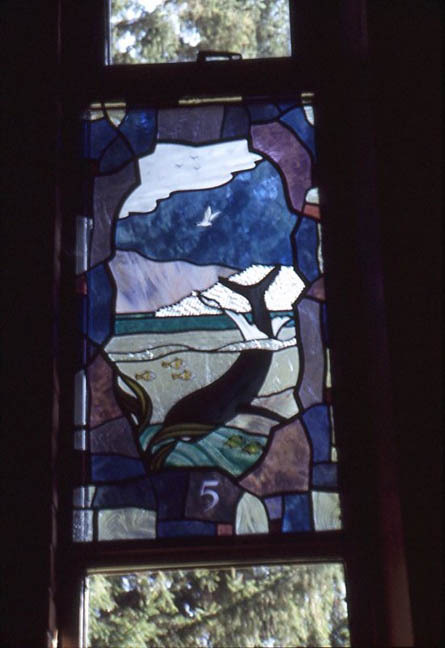 Window shows a whale, small fish, and some birds. Made by Richard Hanley of Omnibus Designs, of Okemos, MI.